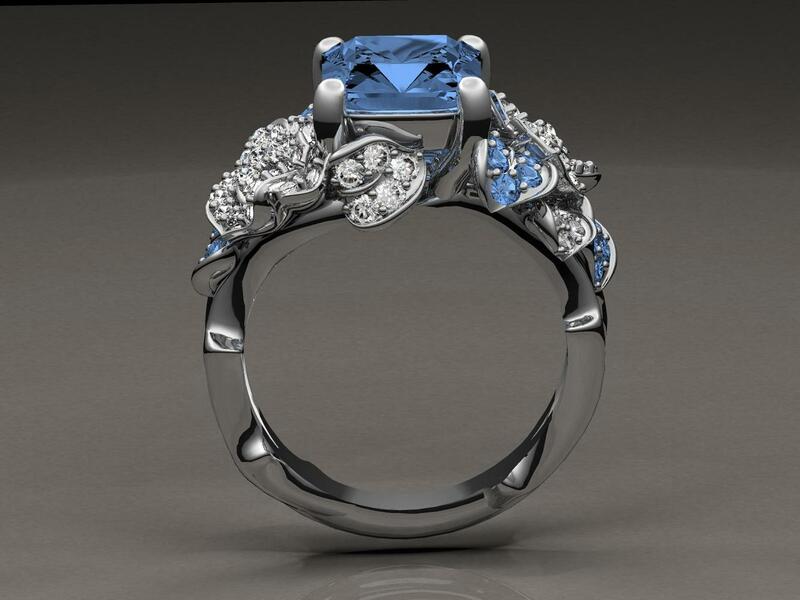 Designing spectacular custom rings is just what we do at Brilliance. This adorable couple went outside of the box and wanted an out-of-the-ordinary, non-traditional style for their engagement ring. That is just what they got! 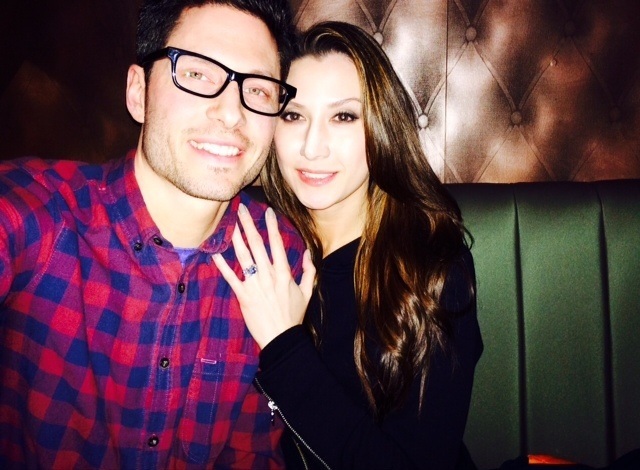 Their ring featured a beautiful, light-blue, Emerald-Cut sapphire in the center in place of a traditional diamond. 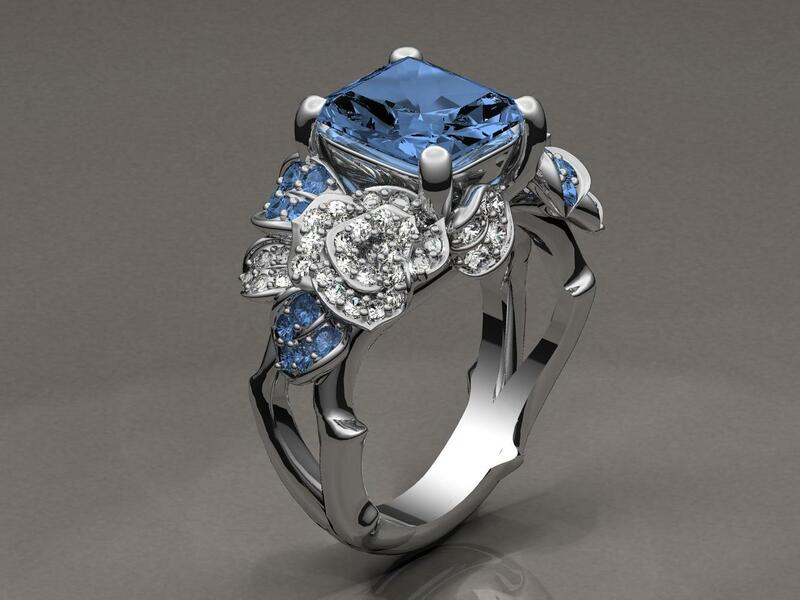 Matching light blue sapphires and diamonds adorned the intricate floral-inspired band made of 950 platinum. We won’t lie to you. This was not an easy ring to create. After eight rounds of revisions, we finally nailed it. The design team couldn’t be more proud of the finished result, so we had to share it with our fans. Congrats guys! We wish you many years of health and happiness together. Do you have a dream ring you would like to make a reality? Give us a call today to get started, 866-737-0754.